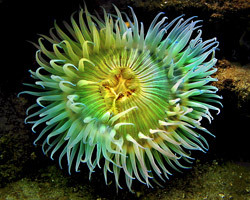 Join CMA Educators on a tour of the Point Fermin tidepools! Attend an informative slide show in the John M. Olguin Auditorium, then come along on a naturalist-led ramble on the rocks to see animals in their natural habitat. Outdoor clothing and sneakers advised. Young children must be accompanied by adults. Reservations required for groups: 310-548-7562.